All are encouraged to support Camp Rainbow and enjoy a delicious meal. 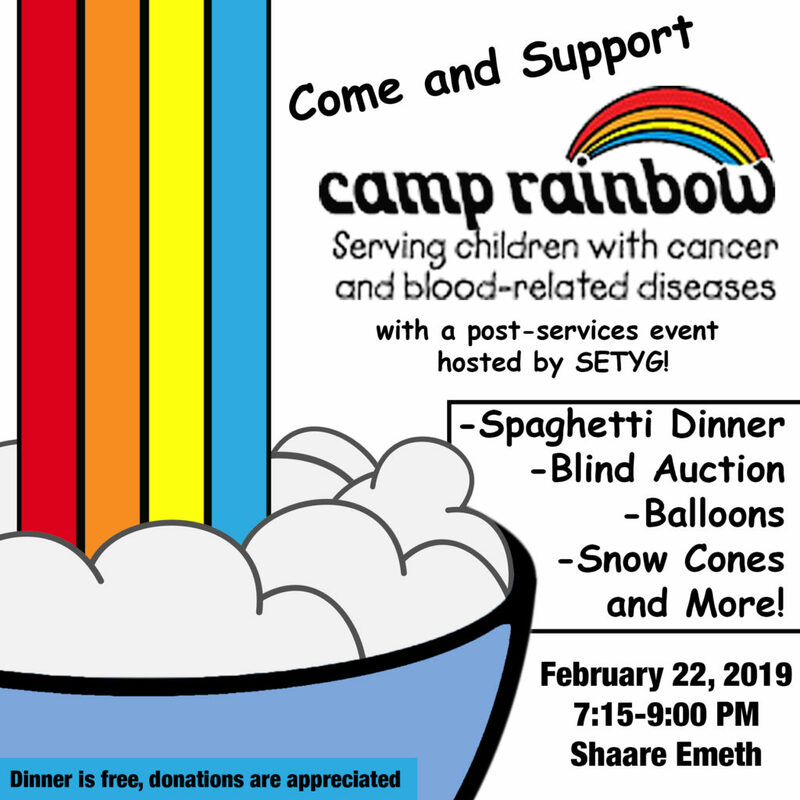 For 30 years, SETYG has partnered with Camp Rainbow to support its work to provide free camping experiences to children undergoing treatment for, and survivors of, cancer and blood-related diseases and disorders. SETYG hopes you will join us for this fun evening in support of a great cause. Would you like to donate an item to the silent auction?